Jeff Penn is currently a Junior Music Industry major at UNH. Hailing from South Windsor, Connecticut. His favorite hobbies include making music with Ableton, collecting records and playing Halo Reach. He aspires to one day own a Borzoi named Lloyd. 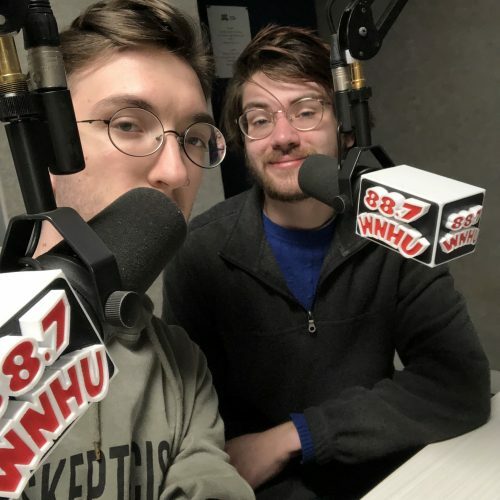 Together, Jeff and Noah host The Noof Hour, a weekly music show where the two friends spin their favorite tunes, usually conforming to a randomly pre-selected theme. What will you hear on The Noof Hour this week? Deep House? Free Jazz? 2000s Pop Favorites? Tune in to find out!